With more than 250 days of sunshine or 3,000 sunny hours a year, 6,000 gorgeous islands and islets and 16,000km of enchanting coastline, Greece is the ultimate sailing destination whether you are seeking a romantic getaway, family fun or partying with friends. 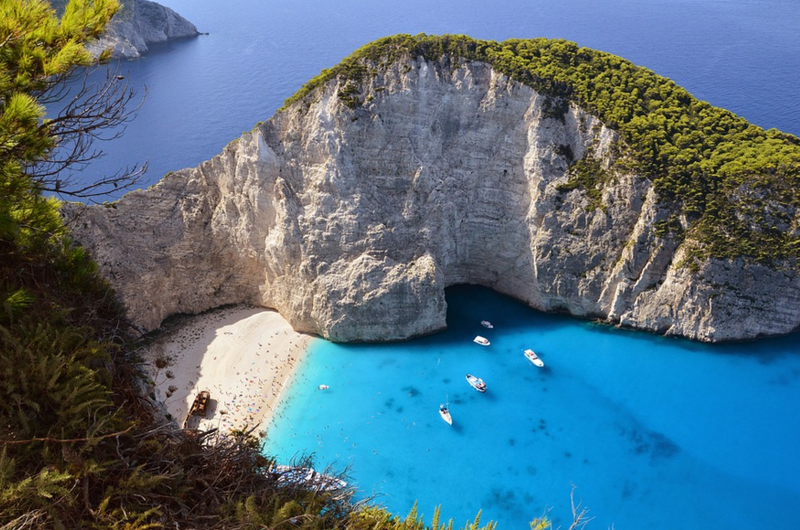 Now you have the difficult choice of deciding which of these islands to explore on your next sailing holiday, which is why we have created a guide to the Greek Islands that highlights each of these spectacular island regions. Mainland Greece is surrounded by about 6,000 islands and islets set in the stunning indigo and aquamarine waters of the Aegean and Ionian Seas. Greece’s diverse islands offer visitors an abundance of striking beaches, charming clifftop villages, unforgettable sunsets, impressive archaeological sites and plenty of gastronomic delights.The islands’ distinctive colors, iconic pebble and black sand beaches, alluring coastal caves and dynamic landscapes produced by natural and geological formations that have taken place over the course of thousands of years while their historic treasures bear testimony to a culture that has influenced the world. Read on to learn more about Greece’s spectacular island regions. You can also find a helpful map of the Greek Islands in English here. Among the most visited and well-celebrated Greek islands are the Cyclades, which are made up of 56 islands including the famous islands of Ios, Mykonos and Santorini and the “Minor Cyclades” of Donousa, Irakleia, Koufonisia and Schinousa. The Cyclades are distinguished by their white-washed villages perched atop cliffs high above the sea, blue-domed roofs, intriguing volcanic beaches and sunsets that will take your breath away. If choosing to sail around the Cyclades, it should be noted that, unlike the Saronic and Argolic Gulf area, this island area is not protected from strong winds, so be prepared for some strong gusts. The Northeastern Aegean Islands are located at the northern end of mainland Greece close to Turkey and provide an excellent sailing region for those looking to get away from the summer crowds that flock to Greece’s more well-known island regions. This peaceful and somewhat secluded island region is made up of 5 larger islands, including Ikaria, Samos, Limnos, Lesvos, Chios, and 8 smaller ones: Ayios Efstratios, Ayios Minas, Antipsara, Thymaina, Oinousses, Samiopoula, Fournoi and Psara. This cluster of islands offer some of the best beaches in the Aegean and are the perfect place to explore historic villages, experience rich cultural traditions and immerse yourself in tranquil natural landscapes. The Sporades are characterized by their dense forests, rocky landscapes and alluring coves. 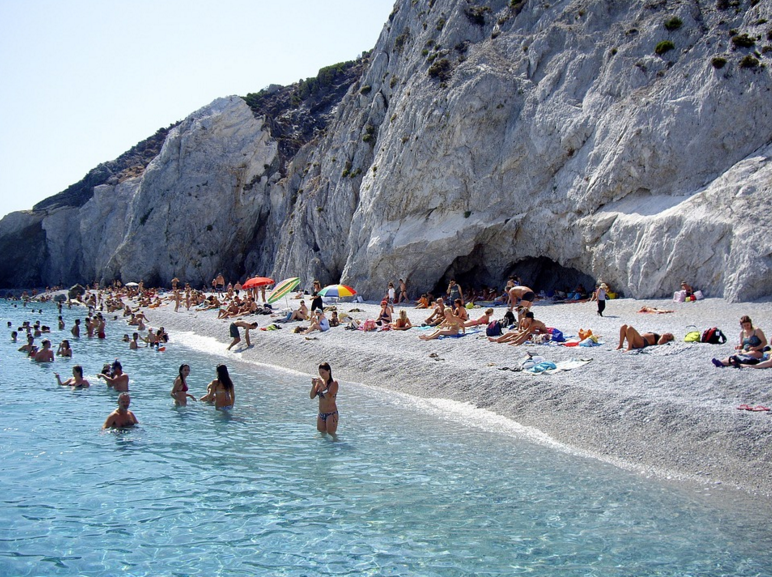 The region is made up of 24 islands, including the inhabited islands of Alonissos, Skiathos, Skopelos and Skyros. 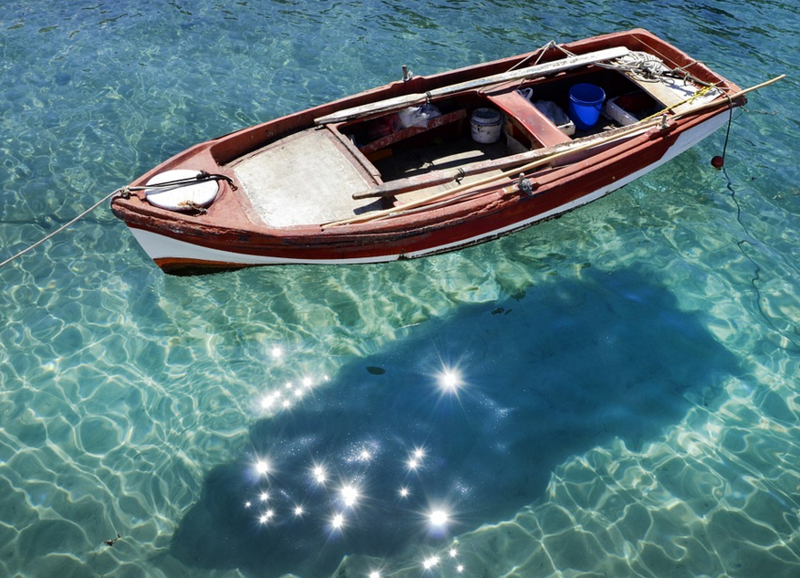 Located within close proximity east of Athens, you’ll find many Athenians taking a weekend trip out to the Sporades. The region provides the perfect opportunity for an island-hopping trip. You can learn more about sailing in the Sporades in our fellow sailor and guest blogger, Georgina’s latest post. Evia is the second largest of the Greek Islands after Crete and is well-connected to the mainland thanks to two main bridges. Known as Greece in miniature form, the island offers diverse landscapes and cultural offerings that are reflective of the entire nation. Evia serves as a great escape from the bustling city of Athens offering locals and visitors many opportunities to enjoy a hike or some time to relax on splendid beaches. The lovely villages that cover the island are definitely worth exploring. Also referred to as the Islands of Argosaronic, this group of islands is located in between the Peloponnese and Athens and include the islands of Angistri, Aegena, Poros, Salamina, Spetses, Hydra and the peninsula of Methana. These peaceful havens are among the most visited Greek islands to visit from Athens due to their close proximity (Aegina is only 16.5 nautical miles from the port of Piraeus). Like most of Greece, the Argosaronic islands are deeply-rooted in ancient history and Greek mythology and offer visitors some fantastic beaches. Additionally, the Saronic Gulf has been to known to be an excellent place for family-sailing due to its position close to the Athenian (Attic) coast which offers protection from strong winds. 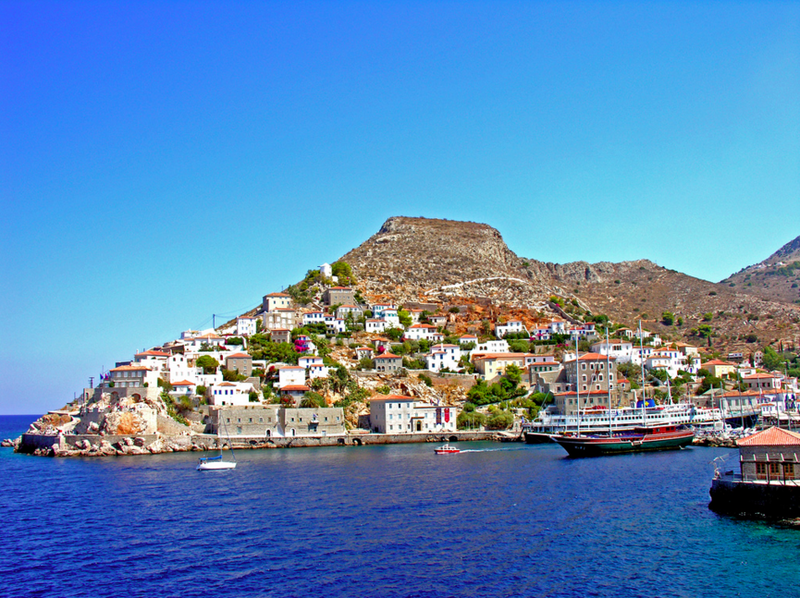 The Dodecanese Islands are made up of over 50 islands located off the coast of Asia Minor. 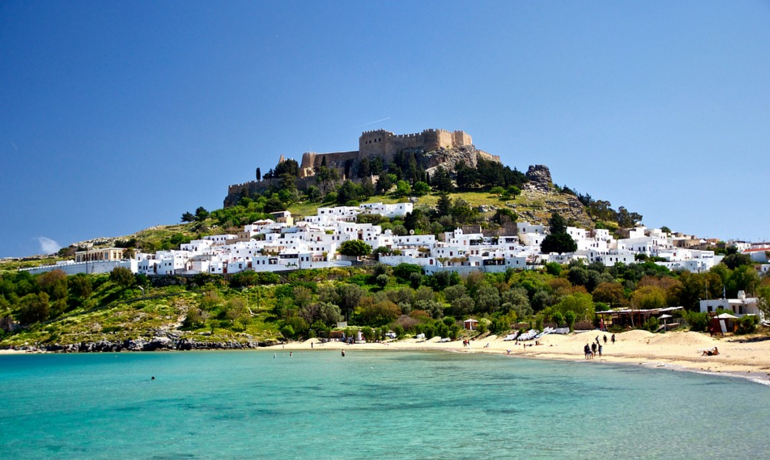 The most visited island is Rhodes, which is famed for its mesmerising and colorful bays, fascinating medieval villages and fantastic cuisine. The island also boasts 300 days of sunshine each year, making it a perfect destination all-year round. Crete is Greece’s largest and one of the its most famous islands. The island’s unique position at the cross points of Europe, Africa and Asia has greatly influenced its cultural identity. 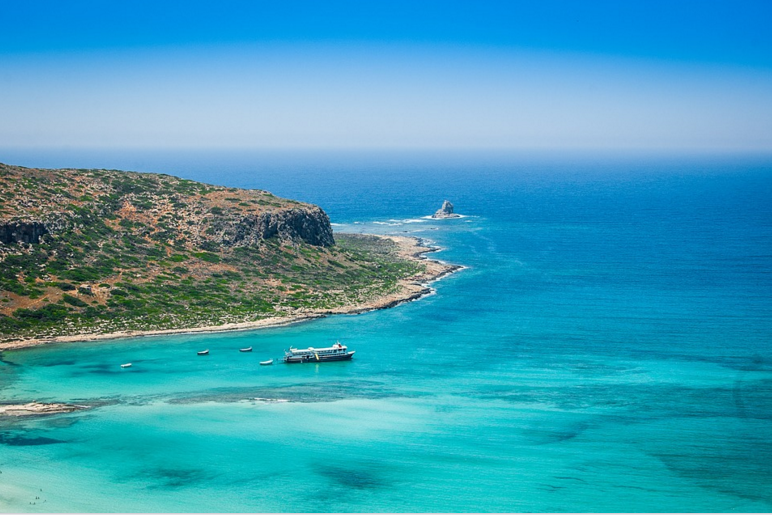 In addition to spectacular archaeological sites and museums that celebrate Crete’s past, the mountainous island is full of spectacular sandy and pebble stone beaches, making it an excellent destination for a cruise around the coast. 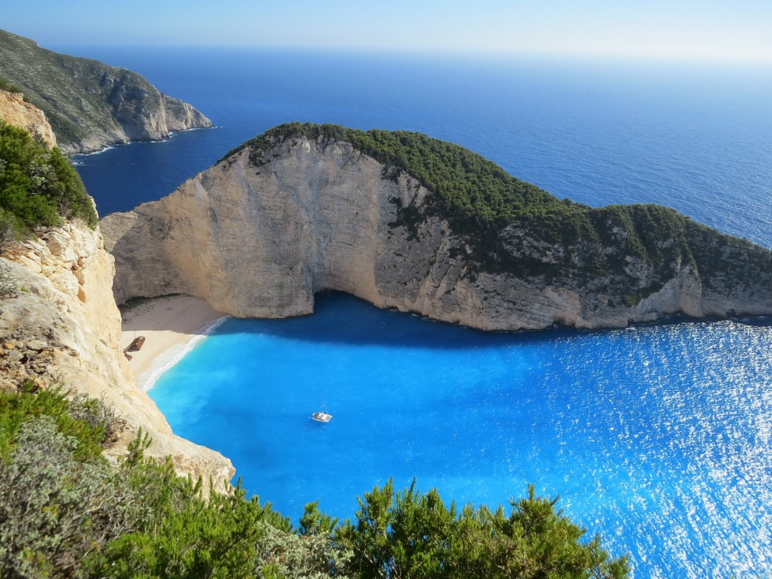 The Ionian Islands of Zakynthos, Ithaca, Corfu, Kefallonia, Lefkada, Paxi, and Kythira make up the famous Eptanisa or “the Seven Islands” and are said to be Greece’s most green and fertile islands. This cluster of islands is found off the western coast of Greece. 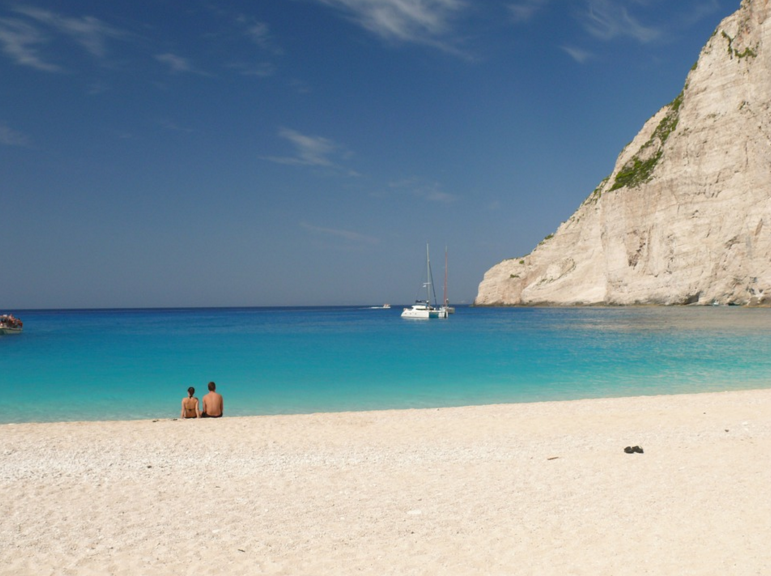 Among one of the most visited islands is Corfu, a place rich in cultural treasures and spectacular beaches. 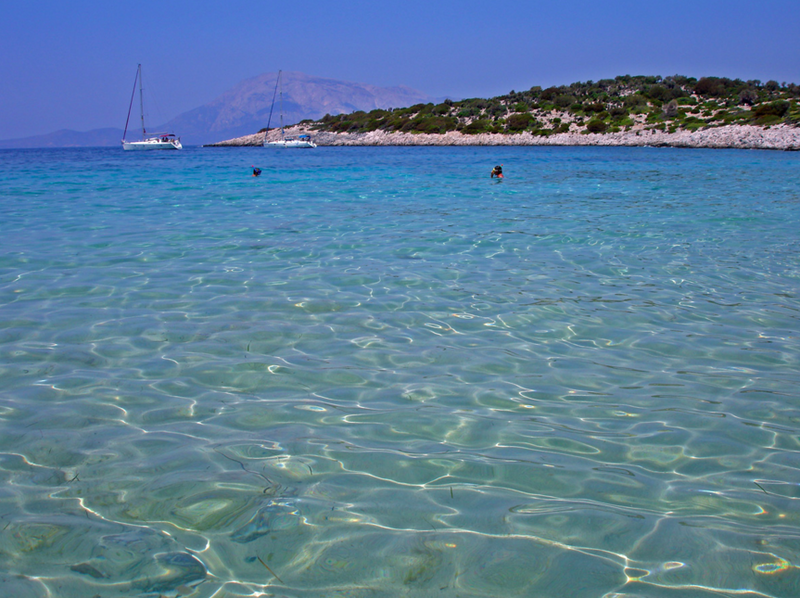 The Ionian Islands are also made up of many small islands including, Antipaxi, Othoni, Skorpios, Strofades. For a more relaxed sailing holiday choose to cruise around the inland sea, which offers many harbours and anchorages in addition to ideal wind conditions. You can learn more about sailing the Ionian Islands in our guest blogger Georgina’s suggested route starting from Lefkas. If you’re planning on visiting the Greek Islands from Athens on your own private yacht, we suggest you sail out to towards Evia, the Sporades or the Saronic Gulf Islands. 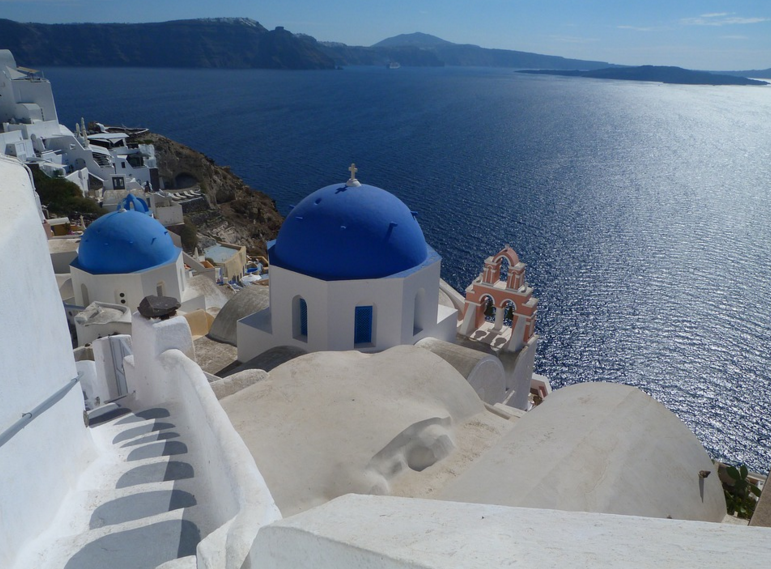 The vibrant blue you’ll find on many doors, windowsills and church domes, especially in the Cyclades Islands, follows the ancient belief that this color blue keeps evil away. The city of Rhodes housed one of the Seven Wonders of the Ancient World: the Colossus of Rhodes, a huge 303-meter statue of the god Helios, which was sadly destroyed by an earthquake in 226 B.C. 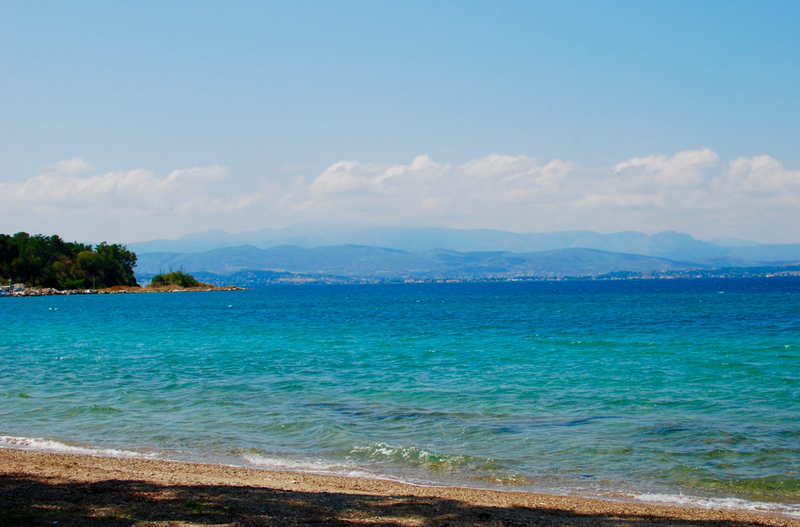 No point in Greece is more than 137 kilometers (85 miles) from water. Though Greece is made up of thousands of islands, only 227 are inhabited.